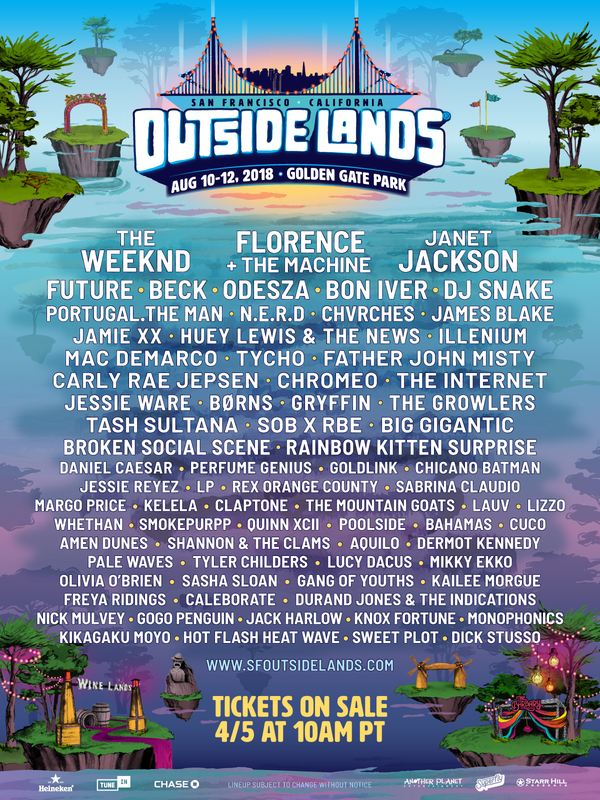 Another Planet Entertainment, Superfly and Starr Hillare excited to unveil the lineup for Outside Lands 2018. Now in its 11th year, the festival will return to San Francisco’s historic Golden Gate Park on August 10-12th, once again showcasing a world class music, art and comedy lineup alongside the best of the Bay Area’s food, wine and beer. For the first time, Outside Lands is offering a 3-Day GA Layaway Plan option, allowing fans to pay for their pass in four installments. 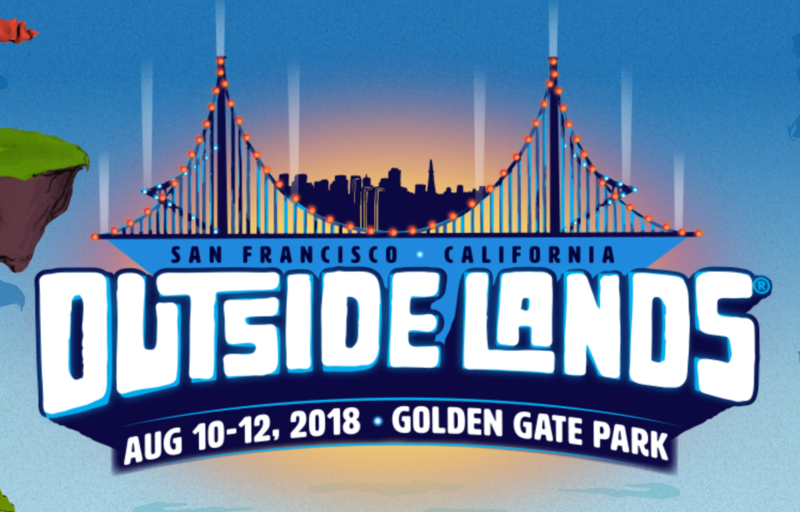 3-Day GA Regular, 3-Day GA Layaway Plan and 3-Day VIP passes will go on sale this Thursday, April 5th at 10am PT, exclusively at sfoutsidelands.com. The festival has sold out in advance the past seven years and fans are encouraged to buy their tickets as soon as they’re on sale Thursday. Leading the musical charge this year are powerhouse performers Janet Jackson, Florence + The Machine and The Weeknd. 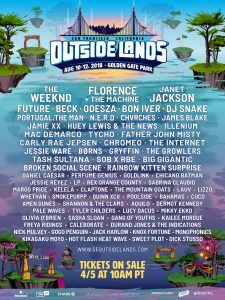 Outside Lands has again curated a forward-thinking lineup by combining the hottest new talent with artists like Sabrina Claudio, Kelela, Daniel Caesar, Tash Sultana and more, alongside crowd favorites like Beck, Bon Iver, CHVRCHES and musical legacy acts like Huey Lewis & The News. The full lineup – listed in full below – has something for everyone. As The Guardian wrote,Outside Lands fans “come for the music and stay for the food.” The festival’s 2018 culinary program will continue to expand and this year fans will have access to over 200 menu items from the best Bay Area restaurants, hundreds of Northern Californian wines and beers and a collection of the region’s best cocktail bars. Outside Lands’ distinct food and drink experiences that excite the senses will also return, including Taste of the Bay Area, Wine Lands, Beer Lands, The Back Wine, Cocktail Magic, and GastroMagic. The Outside Lands 2018 food and drink lineup will be announced soon. 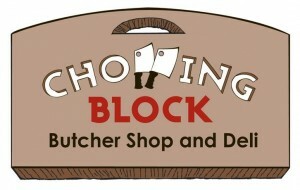 Please visit www.sfoutsidelands.com for updates. Adding to the overall experience, Outsider Art, Eco Lands and The Barbary – named in honor of San Francisco’s Barbary Coast district and featuring the best of comedy and cabaret. Huey Lewis & The News — Hip to be square baby! Mac DeMarco – Bring it Mac! Father John Misty – One of our favorites! Rex Orange County What? Yes it’s true! There may be more coming so stay tuned!